After a Texas Tech sophomore learned he had multiple sclerosis, he and his brother started a team and a company dedicated to giving back. Hunter Jaggard vividly remembers the phone call that changed the direction of his life. It was 2002. He had graduated from Texas Tech University in business, communications and fine arts a year earlier and was working for Dell Computers in Austin. On the other end of the phone – six hours away – was his younger brother, Griff, a Texas Tech sophomore. Griff says that at age 22, the news initially was tough to swallow. Together, the brothers formed a nonprofit team called the Carney Men to participate in the National MS Society's BP MS 150 bicycle ride. The event, which travels from Houston to Austin each April, raises money for research toward a cure for multiple sclerosis. The Carney Men's inaugural ride in 2004 – just a few weeks before Griff graduated from Texas Tech – brought together 14 riders and raised $6,500. 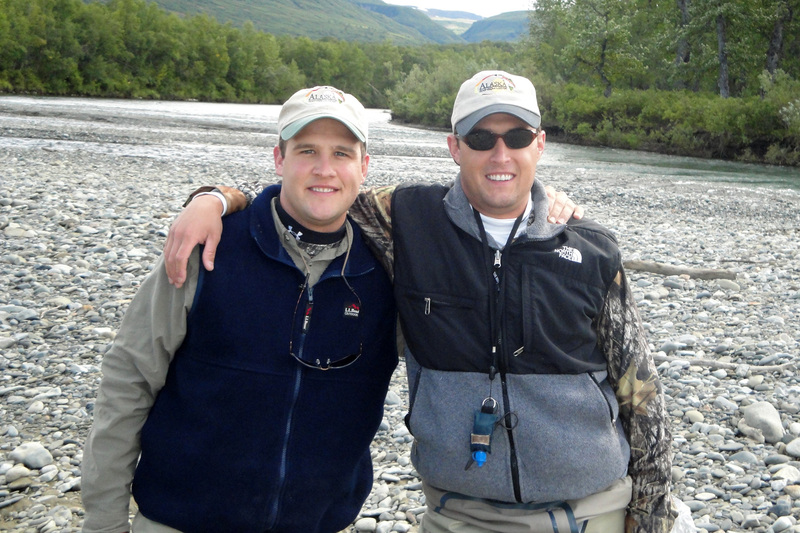 By 2010, the Houston-based team was so successful that Hunter and Griff decided to branch out. They recruited riders in Lubbock and started the Apache Cactus & Crude ride, which travels from Midland to Lubbock. Even though Griff's diagnosis was the impetus to start the teams, the members themselves have served as continual inspiration through the years. For Griff, Carney Men has been a way to take one of the worst moments of his life and transform it into a way to help others. He's now healthy, thanks to a daily pill that keeps the disease neutral and allows him to maintain a normal lifestyle. He continues to ride the MS 150 with the team every year. Their fundraising work through the Carney Men, however, is not the only way the Jaggard brothers are helping those around them. They've also started a business based on that philosophy. After Griff graduated with a degree in corporate communications, the brothers each got married – Griff to Jessica and Hunter to Brittney, both also 2004 Texas Tech graduates – and moved to Katy. They worked in commercial real estate in Houston, but one of their main ways to get away from the hustle and bustle was to get out into nature. They'd grown up hunting and fishing, so it was just natural to continue that as adults. Before one of their regular hunting trips eight years ago, Hunter's father-in-law, a farmer, gave the brothers a plow disc – a shallow, metal bowl that tills soil when attached to a plow. But that wasn't its only use. 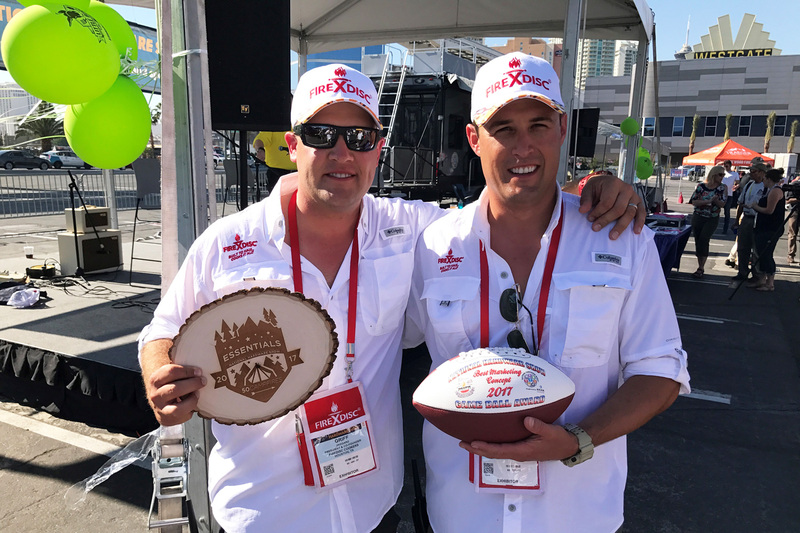 So they started FireDisc Cookers – Griff as president and Hunter as CEO – working in their spare time to design the product and make it marketable. It wasn't easy to launch a company, of course. They had to work with multiple welding shops and some of their inventory was stolen along the way, but they kept going. 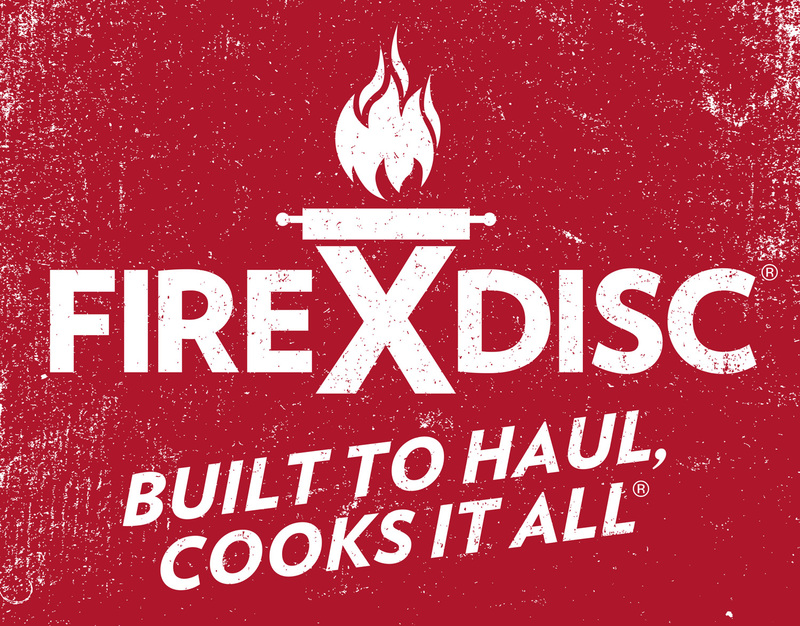 Expanding upon the FireDisc, they have since developed other niche products, including cookware and a wind helmet that works with the FireDisc, allowing users to cook safely in 30-40 mph wind. They were recently ranked No. 374 in Inc. Magazine's list of the top 500 fastest-growing companies in the United States. “Every single product we come out with seeks to solve a problem and be innovative, and allows our customers to cook more and feed their families,” Hunter said. Helping families hit close to home for both brothers. In addition to their wives, Hunter now has 7- and 8-year-old daughters and Griff has a 7-year-old daughter and a 4-year-old son. But it's not just families who benefit from their products. “During Hurricane Harvey down in Houston, people were sending us pictures of the FireDisc in survival situations,” Hunter added. “They couldn't get charcoal and their stoves didn't work, but they were putting canned food in there; they were boiling their babies' water. Two weeks later, when Hurricane Irma hit Florida, the brothers donated 75 FireDiscs to help feed people quickly. The company now donates to 12 different charities: the National Fallen Firefighters Foundation, the National Multiple Sclerosis Society, Operation BBQ Relief, Carney Men, Bridges to Life, the Center for Hearing and Speech, the Cystic Fibrosis Foundation, the Lone Survivor Foundation, the Wounded Warrior Foundation, Scouting, the American Cancer Society and the Alzheimer's Association. “Since the MS 150, our company motto is to always give back,” Hunter said. “Griff and I made a pact as brothers – not just from what he went through, but also what we saw people with MS go through over the years.